In a number of media outlets across the world, the noises coming out of the ‘Conservative Political Action Conference’ today are receiving more attention than usual, and this is simply because of the rise of Donald Trump and, perhaps even more so, the rise of Steve Bannon. The former Breitbart Editor’s influence upon the new U.S. administration has garnered more column inches than almost anything else, particularly due to his supposed influence on Donald Trump’s so-called ‘Muslim Ban’, with Bannon making it onto the front of Time Magazine accompanied with the title ‘the Great Manipulator’. 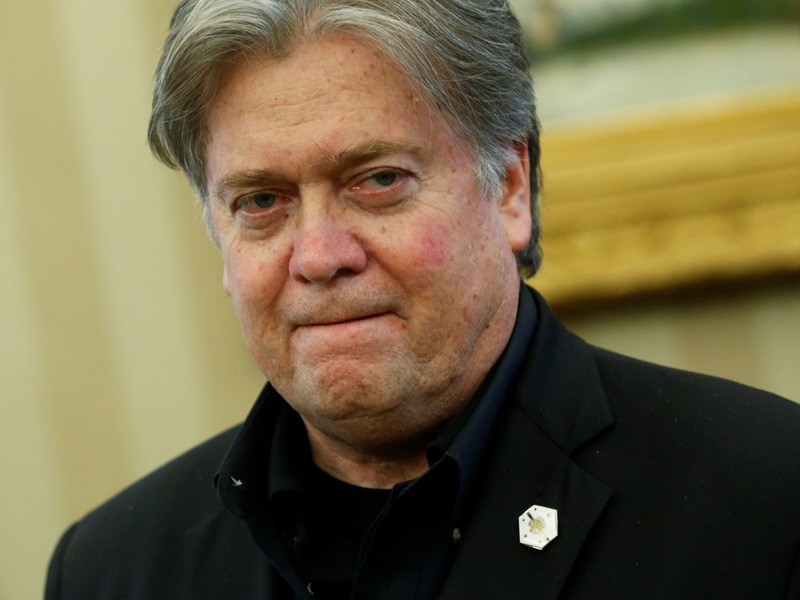 However, for this very short post, the focus will be on a statement made by Bannon during today’s proceedings in the CPAC, rather than the wider political issues stemming from the new administration – a meaningful analysis is far beyond the scope of this post. During the proceedings today, Bannon affirmed that the Trump Administration would deliver ‘an economic nationalist agenda’. This concept, whilst derided by certain media outlets as an imagined concept of Bannon’s mind, is quite the opposite, and is particularly easy to understand. As Bannon himself has intimated, an economic nationalist agenda is defined by its anti-globalisation ethos, and aims to counter the ‘governing creed which has put the economic interests of multinational firms and a wealthy elite above those of ordinary working class Americans’. This, in purely simple terms, is a damning and arguably accurate assessment of Globalisation’s effect upon the population, with previous posts discussing the increase in mortality and general deprivation since the Financial Crisis, engineered by financial elites at the cost of society. However, whilst the sentiment of Bannon can be readily disregarding owing to his other views regarding apocalyptic battles between faiths, and whatever other anti-humanist sentiment he expresses (not to mention his past amongst those financial elites), the promotion of ‘economic nationalism’ – founded upon the negative reaction to the Financial Crisis – will no doubt carry weight in this volatile era. However, this idea of promoting ‘economic nationalism’ is certainly not original, and is usually the precursor to events that irrefutably change the course of human history. The issue is that economic nationalism is usually a response to a globalised, or at least far-flung financial crisis, which then creates tribalism and protectionism – the mentality that this breeds creates the seeds for protectionism in the form of aggressiveness. For example, the Panic of 1907 ushered in a protectionist and inward-looking response as a response to economic-based downturns, as seen with Theodore Roosevelt’s ‘Square Deal’ policies which had a focus upon ‘regulating the economy so that no sector – business, [labour], or consumers – would have an unfair advantage’. This protectionist sentiment then manifested itself by way of a hesitancy to commit to the First World War, with the U.S. being in position to make a telling contribution right at the end of the War in 1918. The same pattern can be seen before World War II, with the United States responding to an economic downturn (the Wall St. Crash and subsequent Great Depression) by ushering in an era of nationalist-based policies in the form of Franklin Roosevelt’s ‘New Deal’ agenda. Shortly thereafter, the same pattern of tribalism and protectionism inspiring aggressiveness culminated in the Second World War, with the U.S.’s hesitancy being witnessed again in the same manner – solely due to its incorporation of an inward-looking sentiment. These aspects are discussed above not to denigrate the United States, far from it, but to make it clear that the U.S. has a responsibility to think twice before looking inward. The reason for this is simple; the transition from Global Superpower to protectionist and inward-looking observer is rarely without consequence, and usually to the widespread detriment of the global society. Americans, like any other nation, have the right to decide their own economic fate, but the importance of the United States’ economic decisions have wide-reaching consequences that often envelop much more than the economic realm. Rather than showing our disgust at the venal nature of the financial elite by turning ourselves away from the world, it is important that we instead develop a culture of severely punishing those who attack society in such a disrespectful and unforgivable manner. Unfortunately, Bannon’s words today demonstrate a double-assault – an approach which turns its back on the world that the country helped to shape, and the certified protection of the financial elite. Rather than listening to Bannon’s words regarding the ills of the ‘governing creed’, we must take notice of the actions of the administration, and more precisely their positioning of venal and centrally-connected financial elites at the heart of the administration, as discussed in a previous post. Steve Bannon is not calling for a revolutionary change of thinking, the like of which a lot of media outlets and his supporters are quick to discuss, but in actual fact is calling for the preservation of a familiar pattern in modern human history. The effects of this pattern have been felt before by humankind, and humankind is braced to see how this next phase of the same pattern concludes.